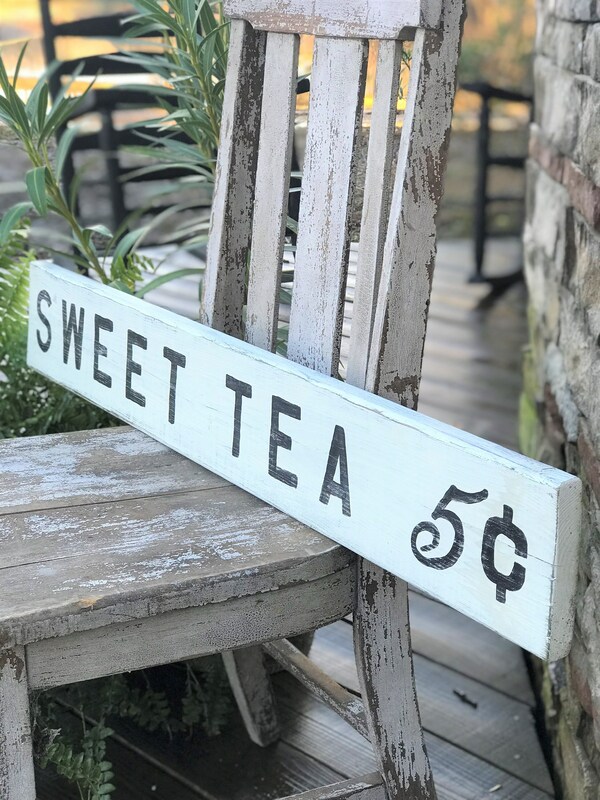 Add some southern charm to your decor with this wooden Sweet Tea sign! 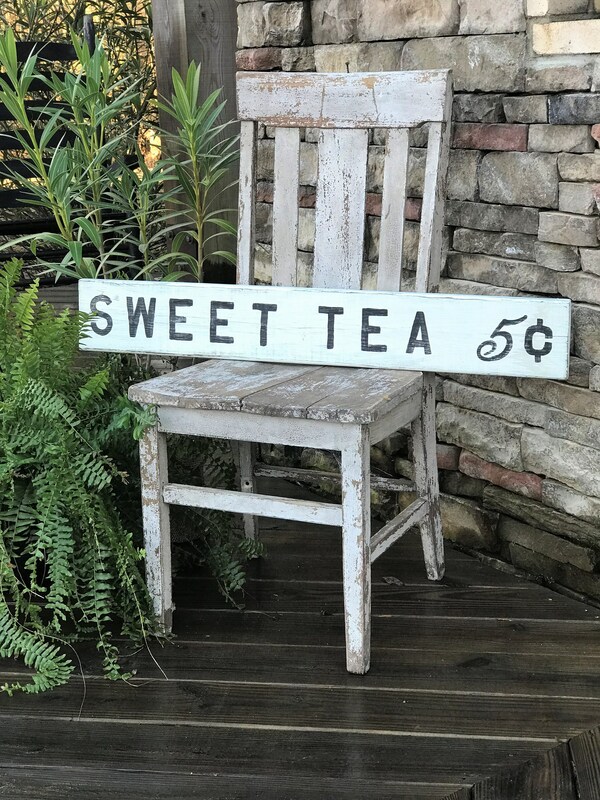 This cutie is painted white with black lettering and would look great above a doorway or anywhere that needs a touch of farmhouse style. It is made with 100% reclaimed lumber.